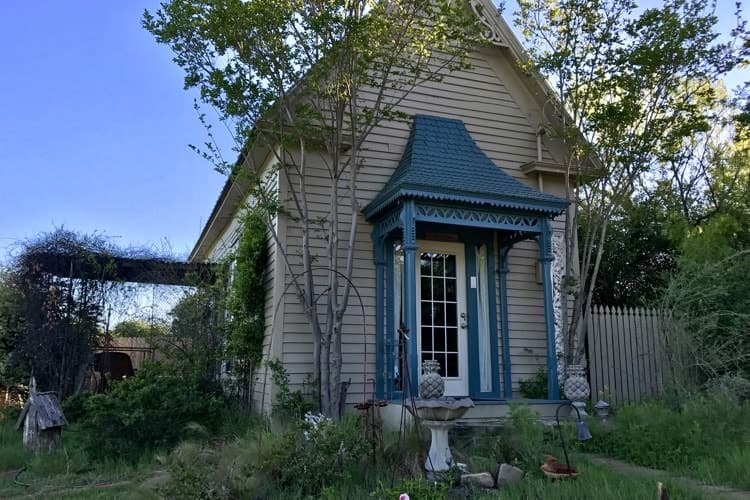 Whether you are looking for a romantic weekend getaway or a private ceremony to elope, you will leave our Brownwood, Texas inn feeling relaxed and refreshed. 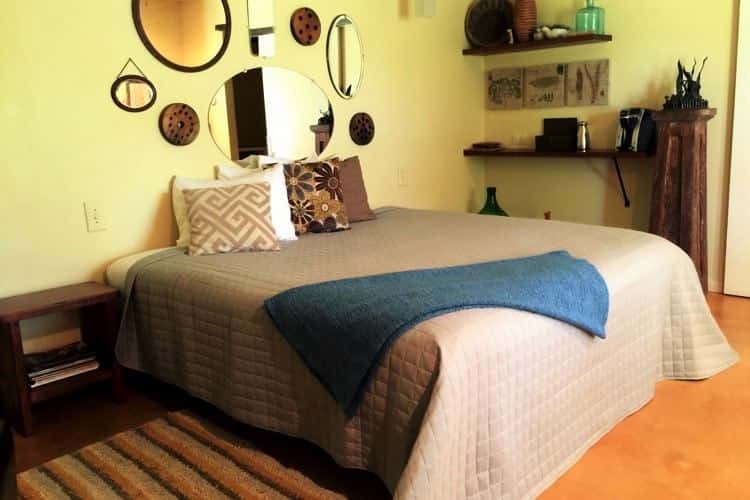 Each of our cottages has its own personality and style. All have heat & air and candles. Each one has a small refrigerator, Keurig coffee maker, microwave and Wi-Fi. 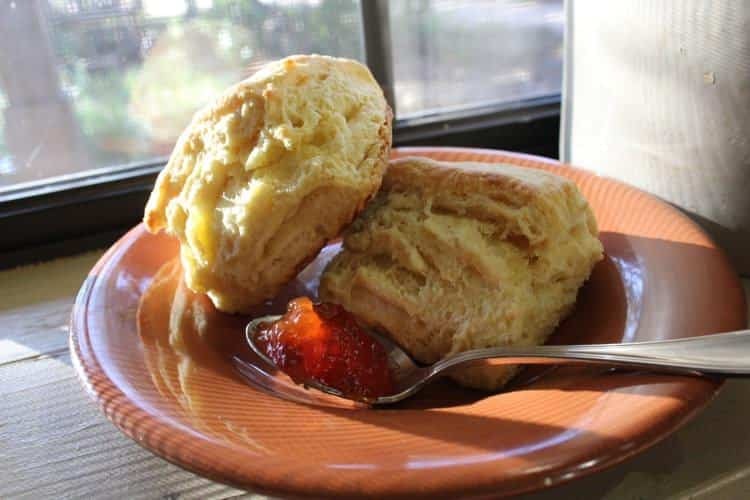 We want you to enjoy the privacy and peacefulness that our bed & breakfast has to offer. 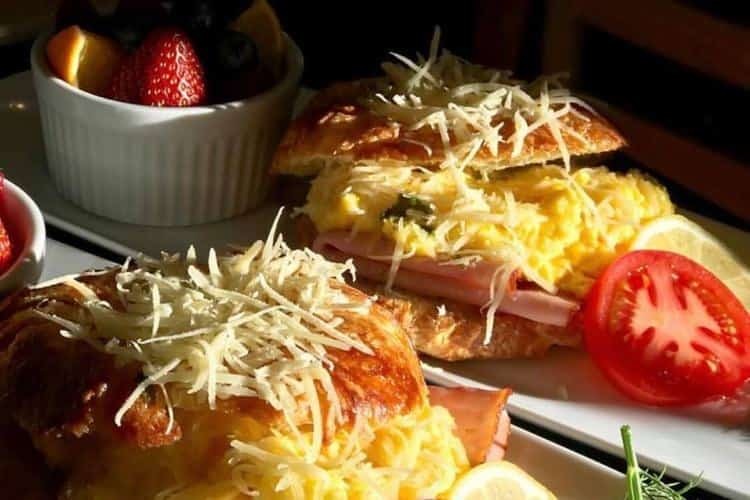 Each morning we will knock on your door around 9am to deliver a wonderful fresh-made gourmet breakfast to you. 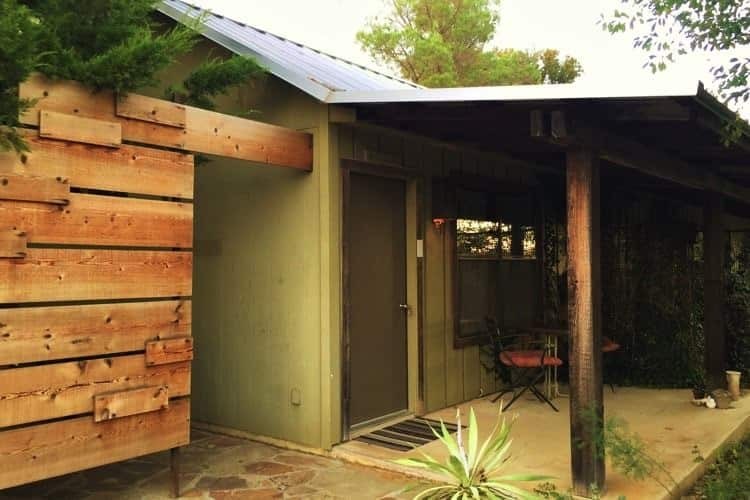 If you like to rise early, you can brew a cup of coffee and enjoy the beauty of our Hill Country sunrises from your private porch. All rooms will require a 2-night minimum stay on weekends and major holidays. However, if you see a room has one night left open, you may reserve it for the one night. Our check-in is any time after 3:00 p.m. If you see you will be arriving late, just let us know, so we have the outdoor lights on. We hold your room with a one-night deposit on your credit card, and we prefer cash or check for payment. Your deposit will come off the final total. We do have a 14-day cancellation policy. Please read about this on our policies page, so that you understand that you will be responsible for the cost of your entire cottage booking if cancelled within the 14 days of your reservation. Because we are a small B&B, cancellations affect us significantly. Come unwind in our comfortable and cozy beds, enjoy peace and serenity in nature and reconnect with your special partner. 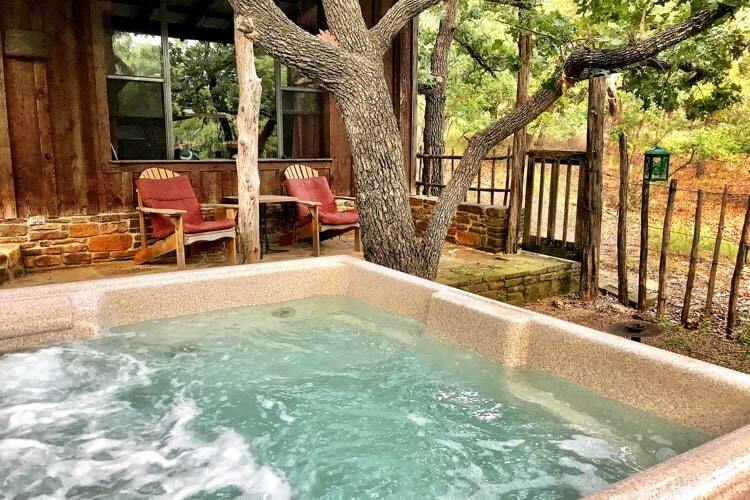 Featuring a private outdoor hot tub, this is our most popular and secluded cottage rental at Star of Texas Bed & Breakfast. The cottage is spacious with a cathedral ceiling and hand-drawn beams. The hand-textured, softly painted walls give a natural glow, which enhances the warmth and soft light radiated by the pine walls. 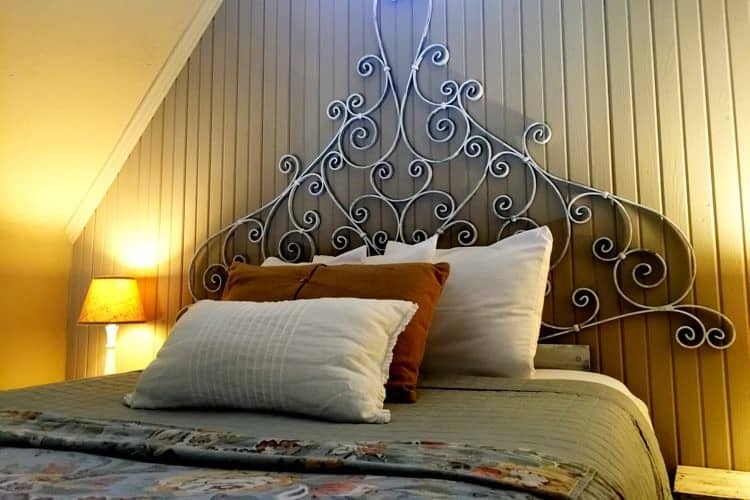 A hand-forged iron queen bed provides a restful night’s sleep. 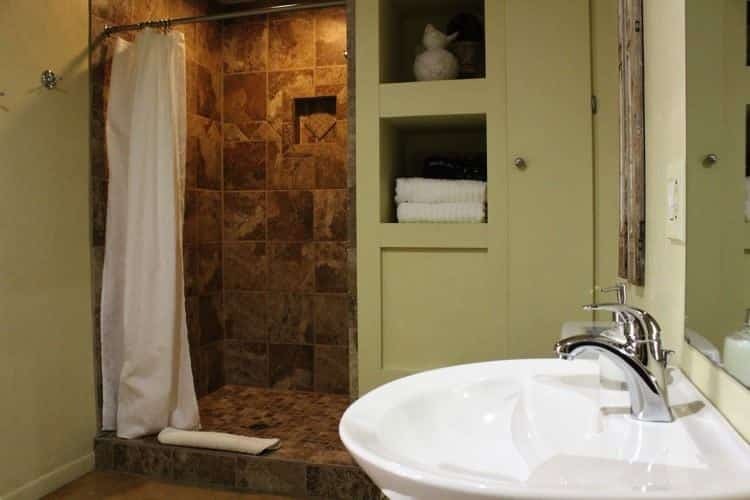 The bathroom offers a tiled shower for two and a beautiful sink of hand-thrown pottery. Enjoy cuddling up on the loveseat or playing games at your table looking out a picture window. 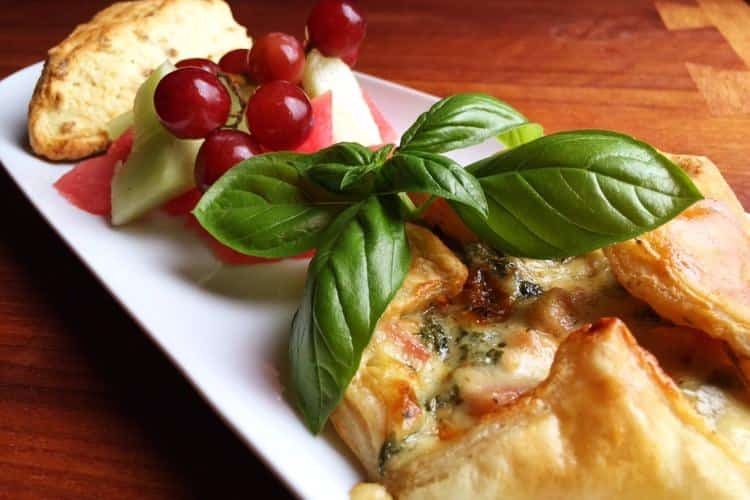 Breakfast is served to you each morning in your cottage. We can deliver our romantic “Time With You” package for you to enjoy while taking in the peace and quiet sitting on your rock porch. 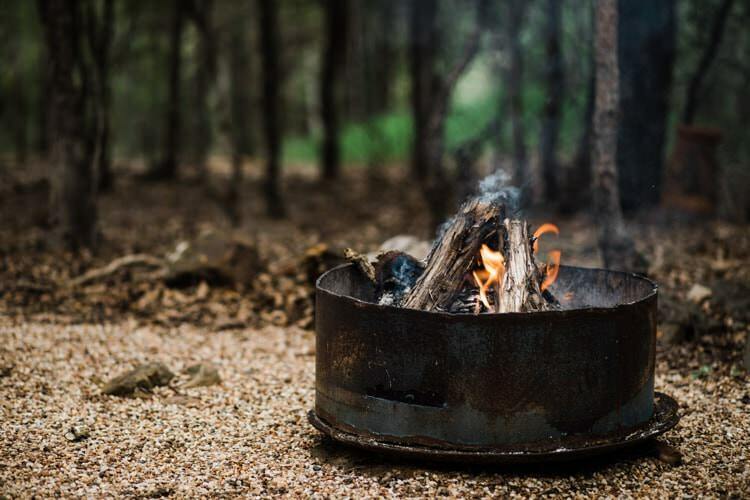 As the evening sun gives way to a starry night, enjoy a small fire in the fire pit near the porch. There is a small refrigerator, microwave, Keurig coffee maker and Wi-Fi for your use. $229 per night (2-night minimum on weekends) We only take reservations for Friday – Monday nights. 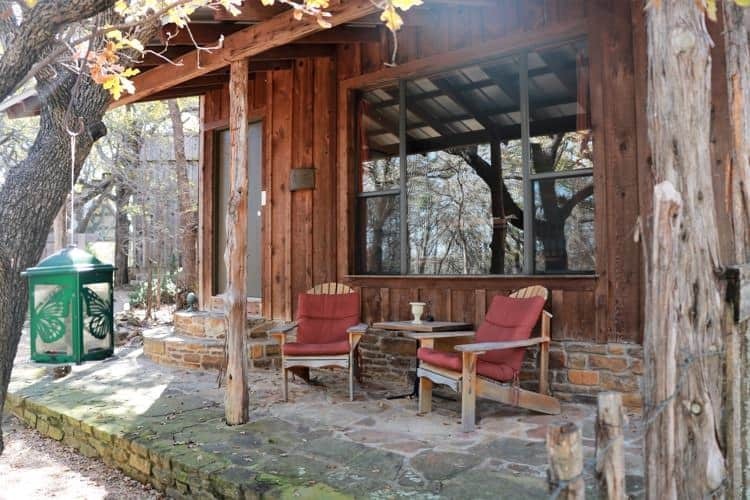 This cottage is perfect for honeymoons and romantic getaways in Texas. The stairway leads you to an open loft bedroom with a queen bed layered in soft comfortable bedding. 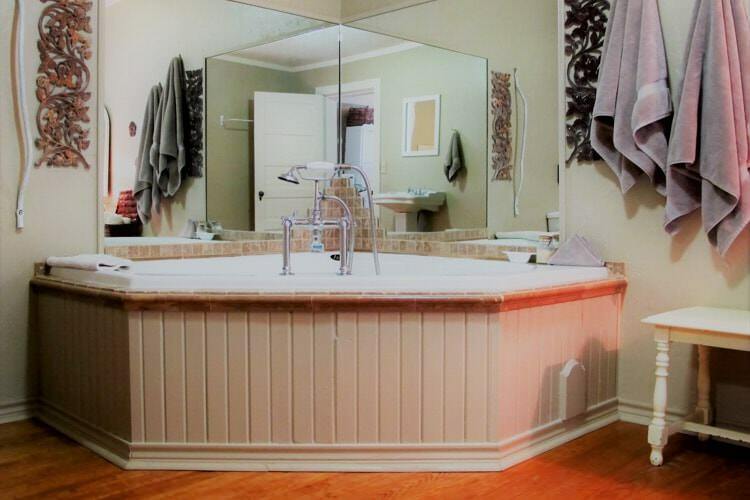 A large soaking tub for two with mirrors is the focal point of the spacious bathroom. We provide candles by the tub for your romantic getaway. Your sitting area has a love seat to enjoy some snuggle time. The dining nook is nestled in a cove looking out French doors leading to your private porch. 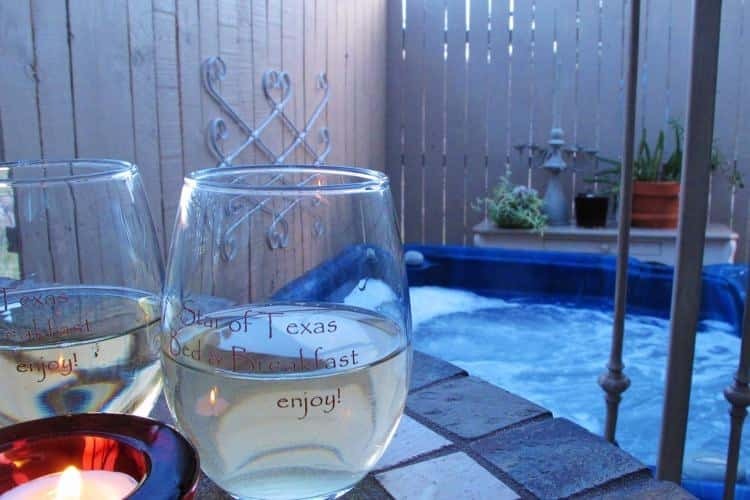 Your porch has a secluded hot tub to enjoy your romantic time gazing at a Texas night sky. Enjoy our Romance Bundle by adding it on to your stay for the romantic atmosphere we have created. There is a small refrigerator, microwave, Keurig coffee maker and Wi- Fi for your use. 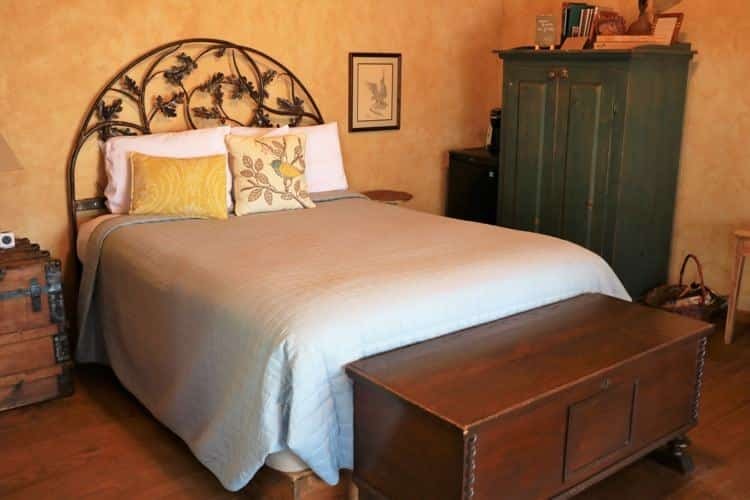 The Willowbend at Star of Texas Bed & Breakfast is a romantic modern country room with soft yellow walls and a stained concrete floor. Your dining table sits in front of the large windows looking out over the pond. It provides a quiet place to celebrate a special occasion or a romantic getaway. There is a beautiful tiled shower for two in the spacious bathroom. A king bed with a mirror collage headboard that faces the windows to watch the sunrise, or you can draw the curtains and sleep in until your breakfast is delivered. With comfortable sitting chairs you can relax and read a book or be creative and write a poem. There is a small refrigerator, microwave, Keurig coffeemaker, Wi-Fi and TV. 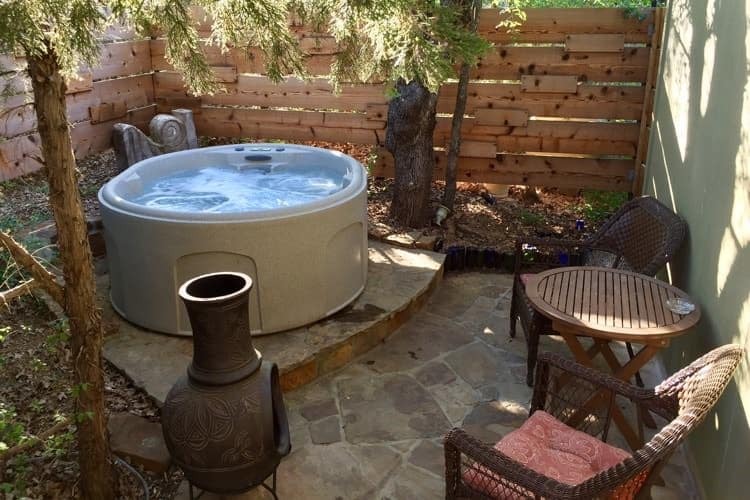 Relax on your porch and enjoy a soak in your private hot tub and enjoy a fire in the chiminea.